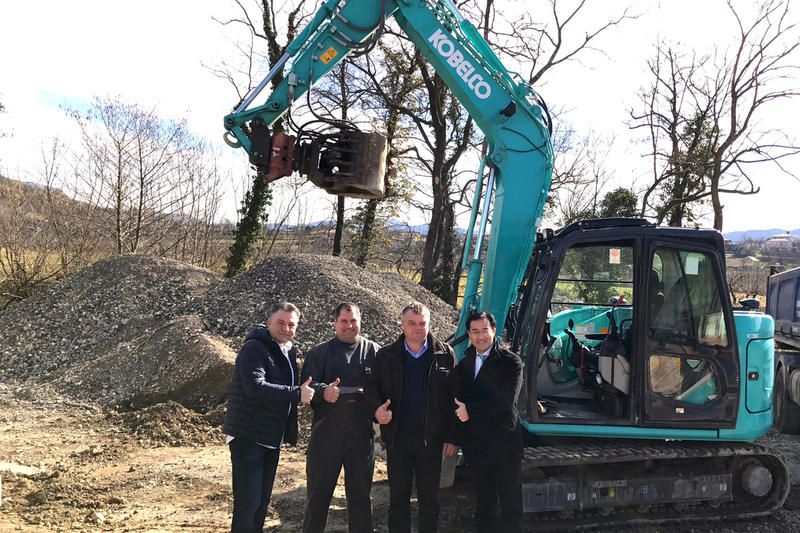 Kobelco Construction Machinery Europe B.V. (KCME) is pleased to announce the addition of an authorised dealer partner in Eastern Europe. The appointment of KOTECH d.o.o is set to accommodate the growing demand for quality construction equipment in the Republic of Slovenia and adjacent territories. KOTECH d.o.o specialises in the sale and service of compact and heavy crawler excavators and is a key player in Slovenia’s earthmoving, demolition, quarrying and forestry industries. The dealer offers a full service experience including rental, repair and maintenance of excavators, and prides itself on its fast service response time and valued customer support via replacement parts. The team is made up of young, dynamic and experienced staff who benefit from ongoing training in order to provide the best possible customer service. The continued expansion of authorised Kobelco dealers underlines Kobelco Construction Machinery’s long-term commitment to Europe. A full and easy to view list of the complete European Kobelco dealer network is available via our Dealer Locator.